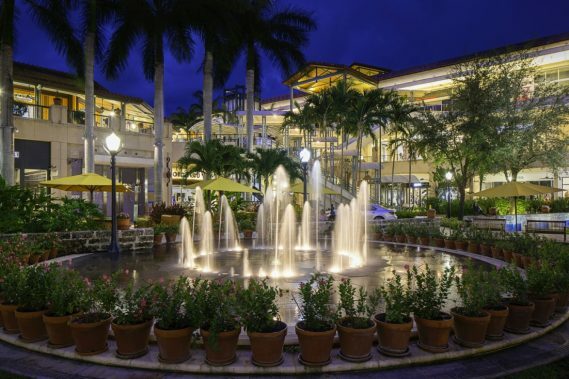 Shops at Merrick Park and the Coral Gables Community Foundation will present the first-ever “Shop & Stroll,” a progressive evening of shopping with sips, specials and surprises at popular retailers on Thursday, May 16, from 6 p.m. to 9 p.m. The event at Shops at Merrick Park (358 San Lorenzo Ave.) will benefit Beaux Arts, Fairchild Tropical Botanic Garden, Miami Lighthouse for the Blind, The Motivational Edge, Junior League of Miami and Neighbors for Neighbors, in addition to co-presenter the Coral Gables Community Foundation. Participating stores and restaurants offering a variety of discounts, gifts with purchases, raffles, sweet treats and/or champagne will include: BoConcept, Bognar& Piccolini, C’est Bon, Cole Haan, Diane Von Furstenberg, Eberjey, Edward Beiner, Engel & Voelkers, Equinox, Hanna Andersson, Islandgirl Miami, Joie, Kabana, Lilly Pulitzer, Neiman Marcus, Pandora, Rugs by Zhaleh, Sawa, Tommy Bahama, Vineyard Vines, Vix Paula Hermanny and more to be announced. Additionally, sponsor Bentley Miami will be offering a complimentary weekend rental (Friday, Saturday and Sunday) of a Bentley (some restrictions apply) through a special offer to the participating guests. Raffle tickets are priced one for $10, or three for $25. Event tickets for Shop & Stroll at Shops at Merrick Park are $20 in advance and $25 the day of the event and can only be purchased online atmerrickshopandstroll.eventbrite.com. Raffle tickets can be purchased online only, along with event tickets. Sponsors of Shop & Stroll at Shops at Merrick Park include Coral Gables magazine, Bentley Miami, Braman Motors, Nautiqua Rosé and House of Wine & Spirits. Live entertainment will be provided by The Motivational Edge. For more information about Shops at Merrick Park, call (305) 529-0200, visit online at www.shopsatmerrickpark.com or follow Shops at Merrick Park on Facebook at www.facebook.com/shopsatmerrickpark.